And that’s why we created the Cozy Fall Headband project! There’s no reason for you to miss out on the fun with these simple and stylish accessories. 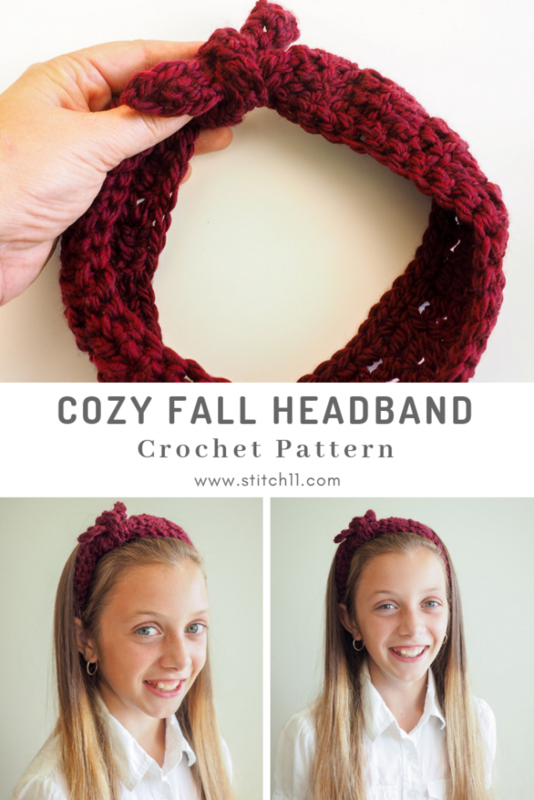 The Cozy Fall Headband is worked using single and double crochet stitches. And it’s crocheted as one long piece that can be tied and untied each time you wear it. That way it’s sure to fit you and your little one! It’s made out of a 100% wool, machine washable yarn from our site Makerdrop.com. And because of its soft texture, you get a beautiful warm accessory without any of the irritation. Take a look at this simple and creative pattern today. It’s a perfect last minute gift idea. Or, pick up a crochet kit here. It’s got everything you need to make these little headbands. 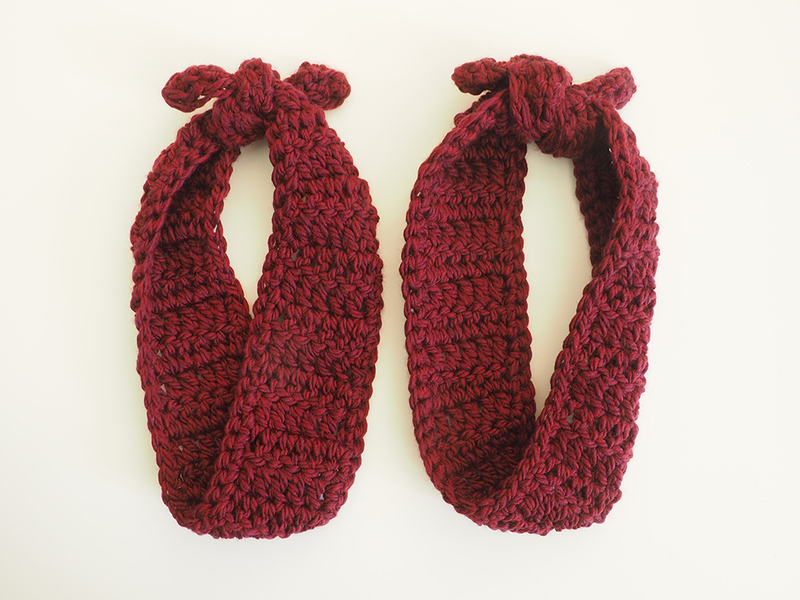 All the yarn in the beautiful burgundy color and a digital pdf pattern. 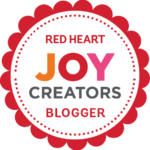 It’s perfect for a creative loved one who’s just starting out with crochet. Suggested yarn: 1 skein of Cascade Superwash 128 in Chianti Heather (1977). 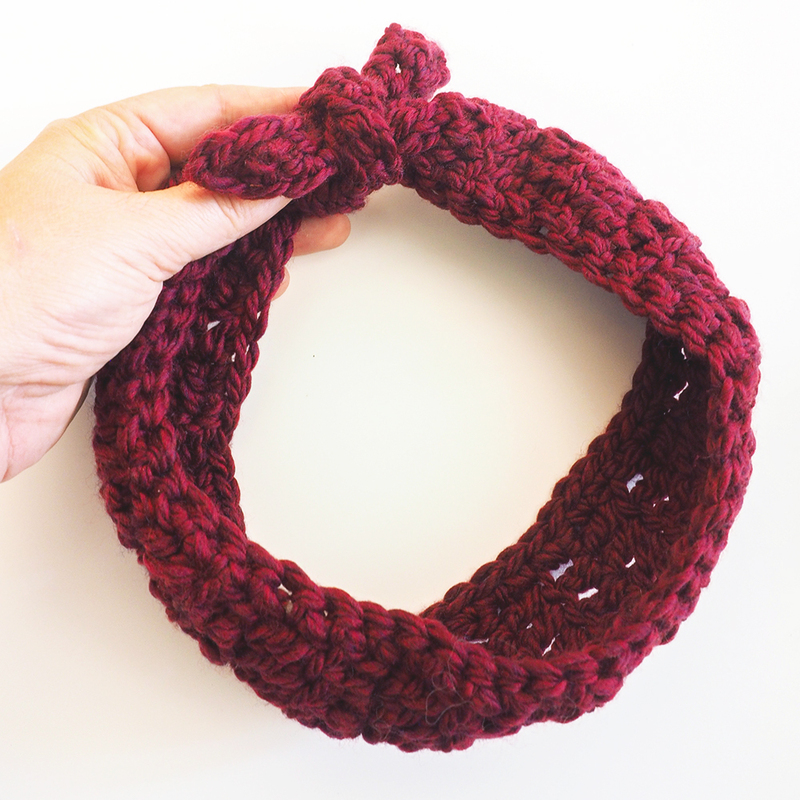 Get this yarn and the digital pattern in the Cozy Fall Headband Kit we put together here. Leaving a long tail for tying, ch 2. Row 2: Ch 1, sc in first sc, turn. Row 4: Ch 1, sc in each st, turn. Row 6: Ch 1, sc in each st, turn. Row 8: Ch 1, sc in each st, turn. Row 10: Ch 1, sc in each st, turn. Rows 12-44: Ch 1, dc in each st, turn. Row 46: Ch 1, sc in each st, turn. Row 48: Ch 1, sc in each st, turn. Row 50; Ch 1, sc in each st, turn. Row 52: Ch 1, sc in each st, turn. Row 54: Ch 1, sc in st.
Sc evenly around edges of headband; fasten off leaving a long end for tying. Rows 12-39: Ch 1, dc in each st, turn. Row 41: Ch 1, sc in each st, turn. Row 43: Ch 1, sc in each st, turn. Row 45; Ch 1, sc in each st, turn. Row 47: Ch 1, sc in each st, turn. Row 49: Ch 1, sc in st. 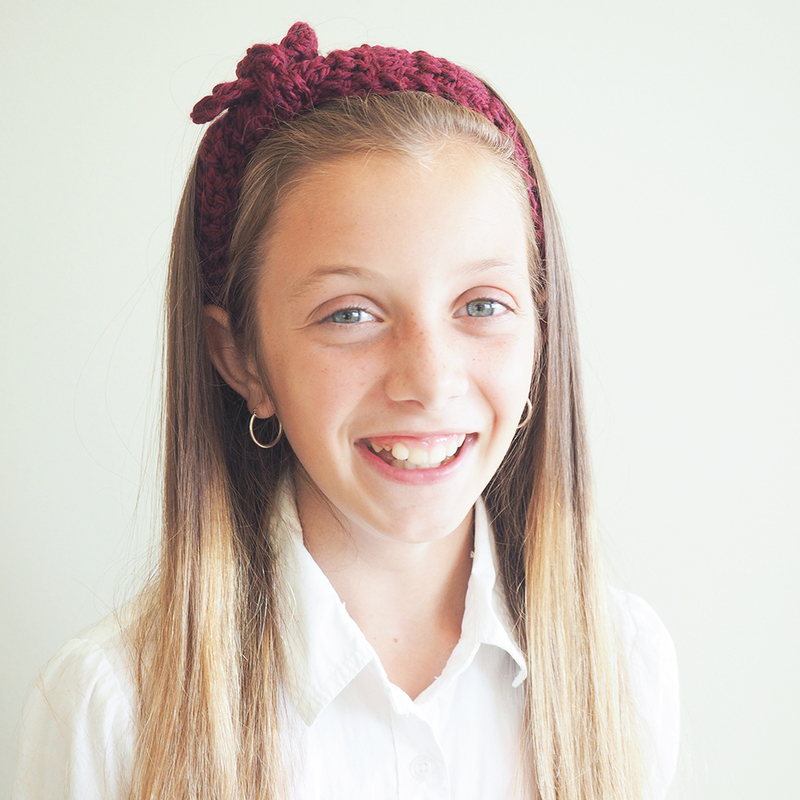 The Cozy Fall Headband Set is sweet, simple and so fast to make! Especially with the crochet kit. It’s a beautiful way to share something special with the one you love. With a flexible design and sturdy soft yarn, this accessory is one you can keep for a long time to come. Start today by creating something special for your little one AND for yourself. You deserve it!